A spring wreath adds warmth to your home. Here are some options for you. 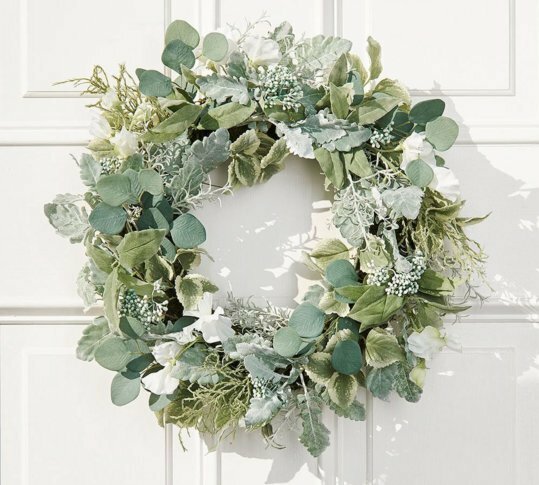 For a floral alternative, consider Birch Lane ‘s wreath festooned with puffy white cotton balls. Or the artichoke wreath, with a mix of textural greens on a woven vine base. Realistic lemons add freshness, color and contrast to a leafy wreath at Lowes .